I got some really good ideas from this book, and got inspired to polish up my vlogging in a more professional way. Some of the tips were things that I already knew or had learned myself from over 4 years of vlogging on YouTube, but some of the advice was new to me. I wish that I had read this book when I was first starting out, and I might have grown my brand much more quickly. I like that the author goes in depth into the structure of a video, how to engage your audience, how to film with good lighting, how to promote your brand, how to include a call to action for new subscribers, how to set up a collaboration with another vlogger or company, and a dozen other subjects that come up in the world of vlogging and interacting through social media. And she gives examples, and practical tips, and good solid ideas, that you can immediately use to create a plan and take action. 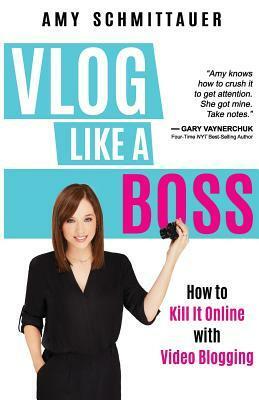 I would recommend this book to anyone interested in vlogging, filming, and creating their own brand on social media.